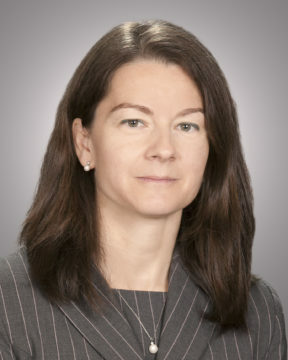 Ms. Anna V. Sarabian, Ph.D., Principal, joined the firm in July 2003. She is an expert in the area of public finance for cities and successor agencies. Sarabian has been involved with assisting a variety of public agencies throughout California with capital facilities funding plans such as tax allocation bonds, certificates of participation, lease revenue bonds, water and wastewater revenue bonds, general obligation bonds, and special district formations and financings, as well as debt, reserve and budget policy development and the development of long range financial plans. Sarabian is a regular speaker at the California Debt and Investment Advisory Commission (CDIAC) Debt Essentials seminar series and is a member of the California Society of Municipal Finance Officers (CSMFO), League of California Cities (LOCC) and the Committee on Assessments, Special Taxes and other Financing Facilities (CASTOFF). Sarabian holds the CIPMA designation as a Certified Independent Professional Municipal Advisor from the National Association of Municipal Advisors (NAMA). She serves on the board of the Women in Public Finance, Los Angeles chapter. Sarabian received her Master of Business Administration (concentration in Finance) from the University of California-Riverside and her Ph.D. in Economics from the Center for Economic Research and Graduate Education (CERGE), Prague, the Czech Republic. Her paper, “The default of special district financing: Evidence from California” was published in 2015 in the Journal of Housing Economics. Sarabian can be contacted at asarabian@fieldman.com.